In the town of Marble, Colorado, with a population hovering around 100, this marble quarry has produced some of the most significant and recognizable monuments in the United States, including the Lincoln Memorial and the Tomb of the Unknown Soldier—as well as several Ryan Steffens masterpieces. For those who follow the river to travel to the quarry, they can tell they are nearing the mine when they spot chunks of marble in the waterbed below. 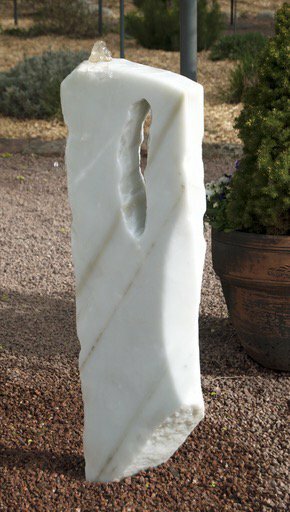 This marble from the old quarry was originally brought out of the quarry by railcar. After many derailments, white marble now dots the riverbed.